Blessed with enormous talents and the energy and ambition to go with them, Franklin was a statesman, author, inventor, printer, and scientist. He helped draft the Declaration of Independence and later was involved in negotiating the peace treaty with Britain that ended the Revolutionary War. He also invented bifocals, a stove that is still manufactured, a water-harmonica, and the lightning rod. 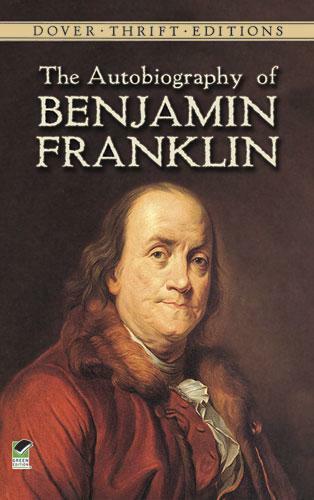 Franklin's extraordinary range of interests and accomplishments are brilliantly recorded in his Autobiography, considered one of the classics of the genre. Covering his life up to his prewar stay in London as representative of the Pennsylvania Assembly, this charming self-portrait recalls Franklin's boyhood, his determination to achieve high moral standards, his work as a printer, experiments with electricity, political career, experiences during the French and Indian War, and more. Related in an honest, open, unaffected style, this highly readable account offers a wonderfully intimate glimpse of the Founding Father sometimes called "the wisest American."